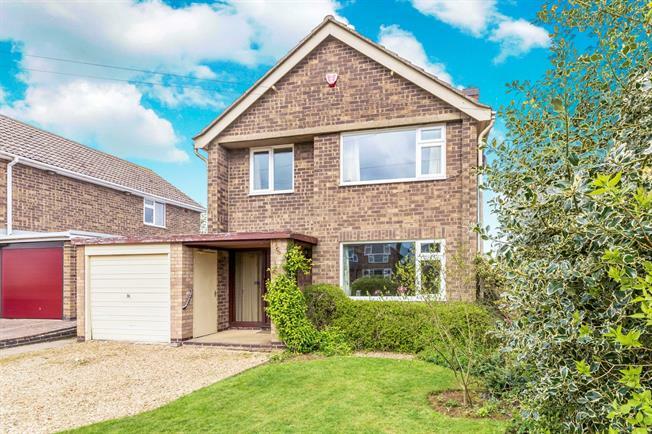 3 Bedroom Detached House For Sale in Oakham for Asking Price £290,000. A lovely family home situated in the heart of the village with private garden and well proportioned rooms. The accommodation includes entrance hall, cloakroom, lounge, dining room, conservatory and breakfast kitchen. To the first floor are three bedrooms and a shower room. The property is double glazed throughout and recently has had a new central heating boiler installed. To the front of the property is a generous driveway for two cars leading to a single garage and workshop. The rear garden has been well tended with a wealth of flowers and shrubs, lawn and private patio, greenhouse and timber shed.